Celebrated search-and-rescue worker Kali Jordon has hidden her psychic abilities by crediting her canine partner Shiloh with the recoveries. But Kali knows the grim truth—The Sight that she inherited from her grandmother allows her to trace violent energy unerringly to victims of murder. 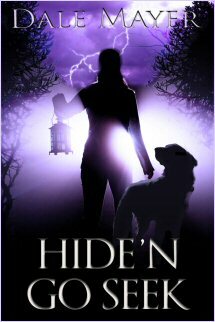 No one knows her secret until a twisted killer challenges her to a deadly game of Hide’n Go Seek that threatens those closest to her. Twenty minutes later, Kali made her way to the kitchen. She fed Shiloh on the deck in the morning sunlight. Running her fingers through her shoulder-length hair, she remembered last night’s painting. She headed to her studio to take a look. She’d almost reached it when apprehension washed over her. She never closed the door after painting. It wasn’t good for the wet canvases, besides, the room only had a small window so the paint fumes built up fast. A frown wrinkled her forehead. Had she simply forgotten? She had been deadly tired last night. Holding her breath, Kali crossed to the window, shoving it as far open as it would go. Fresh air surged into the small space. She’d love a huge studio, except painting wasn’t exactly a full time career for her – no matter how much she’d like it to be. It was a release for when depression and madness overcame her soul. Maybe later, when she no longer did rescue work, she could indulge her art as a creative hobby instead of as an outlet of pain and turmoil. The painting stood where she’d left it. With surreal and strangely enticing clarity, blacks and purples and browns popped off the canvas. Heavy paint splotched at places, then thinned and stretched across the top. “What the hell?” she whispered. 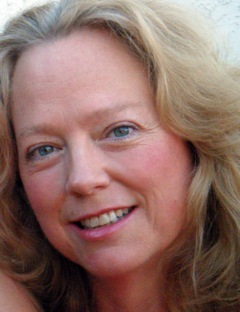 Dale Mayer is a prolific multi-published writer. She’s best known for Tuesday’s Child, her romantic suspense novel that was one of the final four in the Kensington Brava/Romantic Times contest this last year. Besides her romantic suspense/thrillers, Dale also writes paranormal romance and crossover young adult books in several different genres. To go with her fiction, she also writes nonfiction in many different fields with books available on resume writing, companion gardening and the US mortgage system. She has recently published her Career Essentials Series in ebook format. I’ll right away take hold of your rss as I can’t find your e-mail subscription link or newsletter service. Do you’ve any? Kindly allow me realize in order that I could subscribe. Thanks.